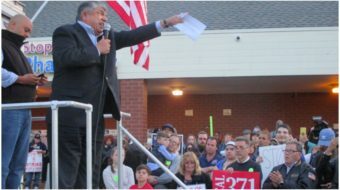 DETROIT (PAI) — Labor’s International Hall of Fame inducted the late UAW President Doug Fraser and the late AFSCME women’s rights activist Susan Holleran on May 15 in Detroit, the Hall of Fame and the Coalition of Labor Union Women (CLUW) announced. 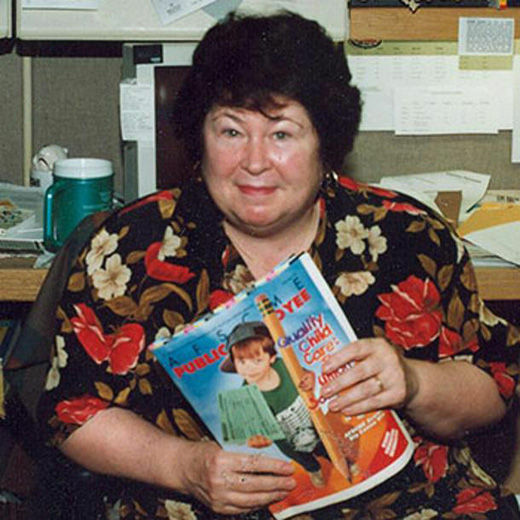 Holleran, who died in 2007, was a labor journalist at AFSCME’s national headquarters and for its magazine. A founding member of CLUW, Holleran was also active with the National Organization of Women and with the Metropolitan Washington AFL-CIO. Holleran coordinated the first national conference on pay equity, which resulted in the founding of the National Committee on Pay Equity in 1979, CLUW added. In 1980, Holleran co-wrote a one-woman play, “Silkwood,” with Jehane Dyllan. It told the story of the life and death of safety and health activist Karen Silkwood, who was also the subject of a 1983 film based on a screenplay by Nora Ephron. Holleran’s dedication to telling the stories of hard-working women and men fighting for their rights in the workplace inspired other writers who knew her. Fraser, who died in 2008, led the UAW from 1977-83 and lobbied for the first Chrysler rescue plan, through a federal loan guarantee, in 1979. The automaker succeeded and repaid the loan with interest. A metal finisher in a Chrysler DeSoto factories, Fraser became a UAW activist in 1936, was twice fired for his activism, and participated in sit-down strikes at Chrysler. Elected president of UAW Local 227 in 1943, Fraser rose from there. On May 13, 1980, Fraser, then president of the United Auto Workers, was named to the Chrysler Board of Directors. He thus became the first union representative ever to sit on the board of a major U.S. corporation. Fraser was seen as socially progressive, having been a strong backer of the civil rights movement, equality for minorities and women and a supporter of national health insurance. Established in 1973, Labor’s International Hall of Fame has inducted more than 100 labor activists, heroes and supporters who have made a difference in the lives of working men and women in this country. Recent inductees have in cluded “Rebel Girl” Elizabeth Gurley Flynn and civil rights activist and martyr Viola Liuzzo. Photo: Susan Holleran at work at AFSCME.